There are many interesting things in the book but Tory Historian was particularly taken by some of the figures Mr Stewart gives of book sales in the 1860s, particularly of what was then called with increasing displeasure by critics "sensational literature". And Mr Wilkie Collins could and did gloat over his receipts. Referring to his income from No Name (1862), he wrote to his mother: '... the amount reaches Four thousand, six hundred. Not so bad for story-telling!' While George Eliot wept: 'I sicken with despondency [she wrote in 1866 to her publisher, Blackwood] ... that the most carefully written books lie .... deep undermost in a heap of trash .... my 6/- editions are never on the railway bookstalls .... They are not so attractive to the majority as "The Trail of the Serpent".' Crocodile tears these, really; in 1863 Romola had brought her a near-record £7,000 with reversion of copyright. 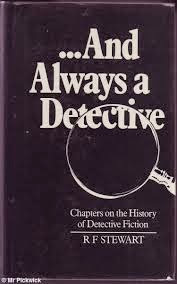 Keeping strictly to facts, however, the story of crowds queuing for the Strand with the next Sherlock Holmes story is well-known; less well remembered is the fact that their fathers had done the same for the next episode of The Moonstone, and when published in book form, having already been serialized, the first impression of 1,000 copies of The Woman in White sold in one day. George Eliot could perhaps draw some consolation from the admission of an American pirate-publisher that he had sold 126,000 copies of the latter book and paid Collins not a penny. Whether George Eliot was really that mean-minded and short-sighted, history does not relate. Nevertheless, the figures are impressive when we consider the value of sterling at the time and the fact that the reading public of these books and magazines was limited not by illiteracy (that has been much exaggerated if not invented by advocates of state education) but by the fact that many people could not afford them. They bought and read penny dreadfuls, whose sales vastly exceeded those listed above.